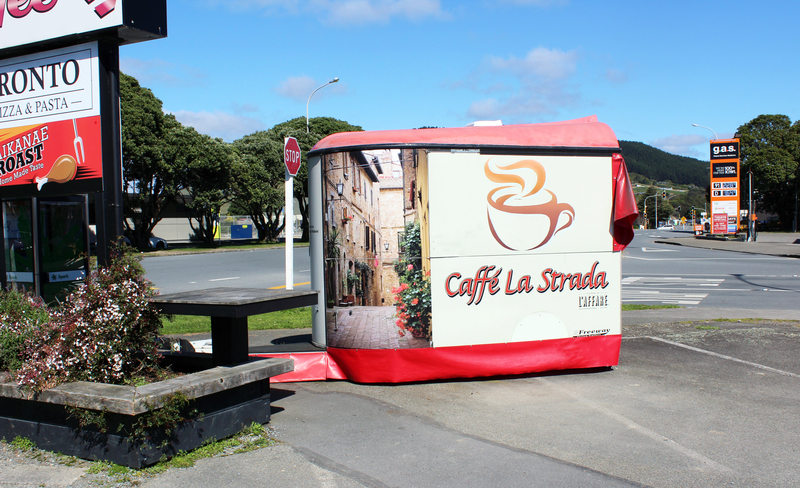 Literally ‘road coffee’, a pic taken last Sunday when the stand isn’t open. The full view shows the g.a.s. price of $2.28 for a litre of 91; as well as adjusting to the big temperature difference when we came back from America, the petrol price difference required some adjustment, too. We remember handing over $US 27 to fill a Hyundai Accent in Oregon, and thinking it would cost rather more than that in NZ.